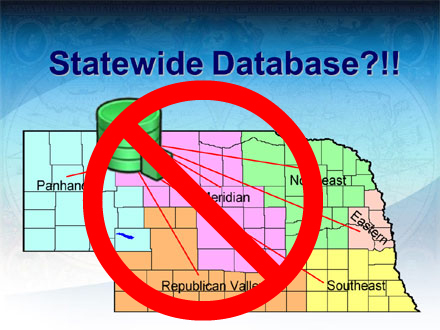 The member libraries of the Panhandle Library Consortium are absolutely convinced that having one database for every library in the state, as some other consortiums are doing, is undoubtedly the wrong direction to take and will ultimately end up causing more problems while offering the least amount of options for the libraries that participate. The database design and structure that was selected by the Panhandle Library Consortium takes advantage of the current library system model as designed and already in place by the Nebraska Library Commission. The database design is called a “Distributed Union” database. 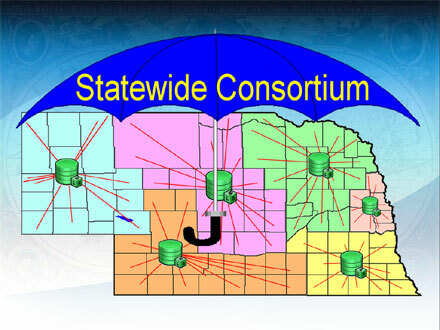 We believe that each of the six library systems in Nebraska should have the ability to develop their own policies and other ILS system settings instead of being forced to abide by rules and policies as set forth by other, much larger libraries.